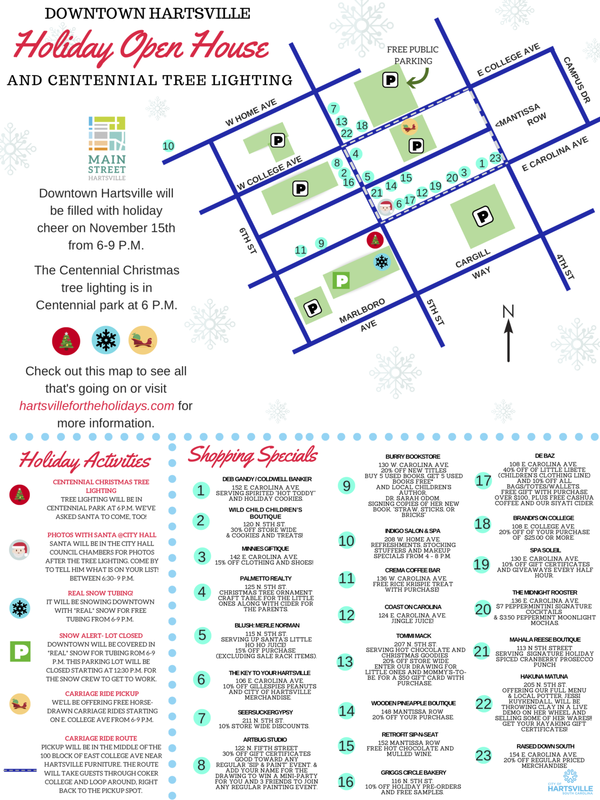 Kicking off Hartsville for the Holidays, Downtown Holiday Open House is tonight! Come downtown from 6-9 p.m. for extended-hours shopping specials, horse-drawn-carriage rides, real snow with slides, the Centennial Tree Lighting, a chance to see Santa himself, and more! Check out the map below to be sure you don’t miss anything! Click to embiggen the map and save the PDF.